This race is organised by North Cork AC who make a donation to St. Josephs Foundation for people with special needs, from the proceeds of the event. The Charleville race is located roughly halfway between Cork and Limerick. It has traditionally attracted runners from both of these counties but due to the positive reputation which it has gained, more and more people are coming from further afield. Charleville is approx 40kms or a 35-40 minute drive from Limerick city and approx 60 kms and a 50-55 minute drive from Cork city. Ideal for anyone wanting to try for a personal best time or wanting to get a good indication of their fitness level heading into the Dublin City Marathon or other European Marathons at the end of the year from October to December. Other races promote themselves as being ‘fast‘ only for runners to turn up and find plenty of hills and drags. The clue to how flat this course is can be seen in the course maps. You can see the grey and white line which shows the route of the Cork to Dublin railway line. Laid in the mid 19th century, these routes were chosen to allow steam powered trains to run on…i.e. no steep hills. Looking at the Ordnance Survey map of the area, the few contour lines that are present are well spaced out so it would certainly seem to fit the bill as a fast course. This is a completely voluntary effort and the proceeds of the race go to two worthy causes. The proceeds of the race go back into the development of the host athletics club which caters for all age groups in their activities. The organisers also make a donation towards St. Josephs Foundation, Charleville. They are hosting the race at their facility and they have built a 200m running track which a number of the local athletic clubs use. It will also be the warm-up area for the Half marathon and changing rooms will be in the GAA Hall next door. There will be Chip timing again this year with a Half way split matt to give participants a good indication of how they are going during the race and also to give an indication afterwards of how they paced the race. Genuinely Flat Course all the way with just one bridge. 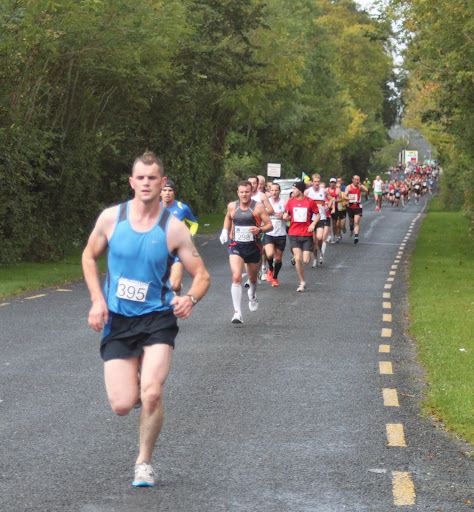 Designed to yield fast times and personal bests in response to lack of fast courses in Ireland. AAI International Permit approved and accurately measured course. First prize in all Masters categories and second prize in categories up to O55.